Outback omega 100 charcoal bbq midnight blue inc cover. Charcoal may be the most traditional of barbecue fuels but the omega charcoal range brings it roaring into the 21st century thanks to the work of an independent design studio. 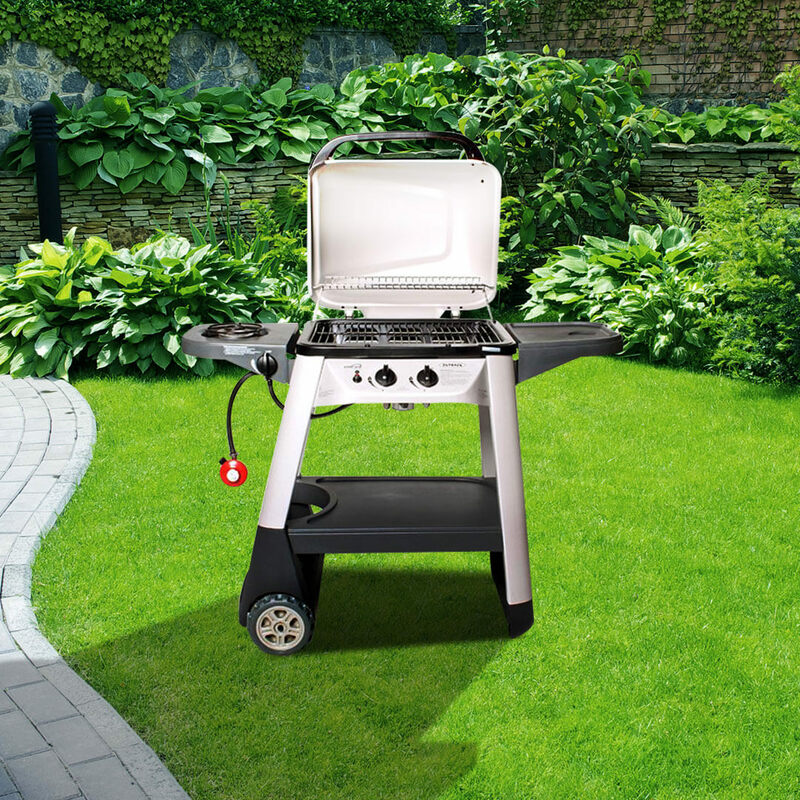 The omega charcoal 200 captures the allure of a real charcoal fire coming up with a practical and portable barbecue. Wooden storage make barbecuing a formality as everything needed to cook can be stored bellow. Manufactured by outback barbecues.